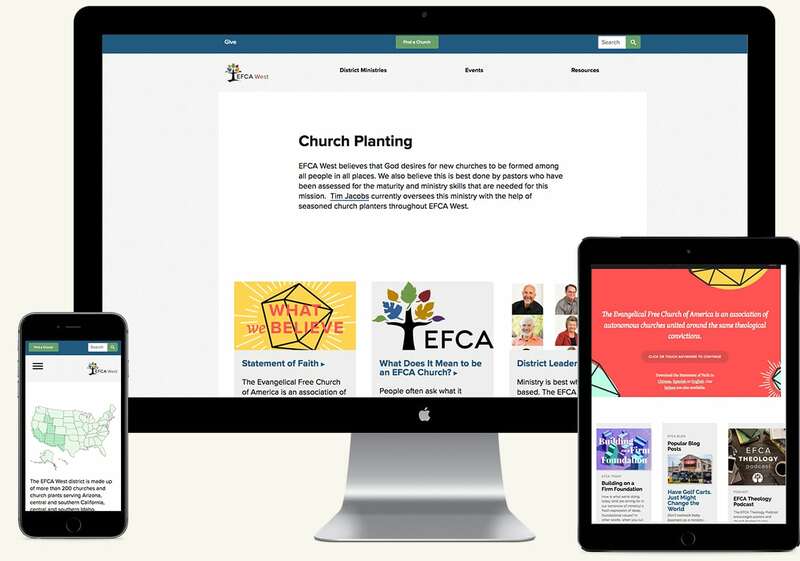 While at the Evangelical Free Church of America, I built a low-maintenance and future-friendly WordPress theme made available to their seventeen autonomous districts. With a set of content APIs and widgets, I designed a flexible WordPress theme with smart defaults based on national brand alignment and findings from auditing 17 district websites. This allowed districts to have a zero maintenance homepage if they chose to, or make it completely their own if they desired to do so. For several districts, this was the first mobile responsive website.